Yes, 2017 is here! My family and I started 2017 basically visiting family, friends and touring the Philippines. 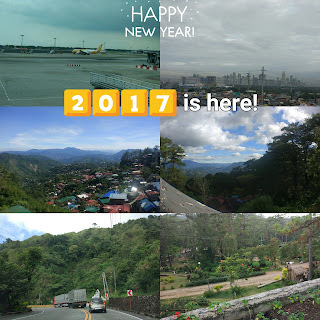 I'm excited to share some of my stories of Baguio, including my first time to drive there ever. Also watch out for more blog posts on travel, lifestyle and all-around tips and reviews on food, destinations and whatever fancies my tastes. Have a topic you want me to talk about? Just let me know in the comments below. Meanwhile, I hope you were able to read my previous post on a Q&A on my travel habits. Until the next post, Happy 2017 everybody!